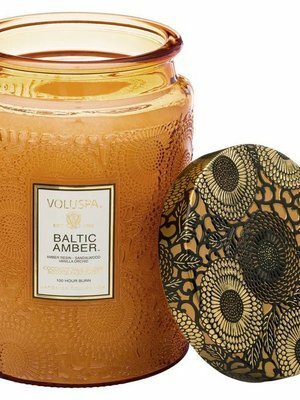 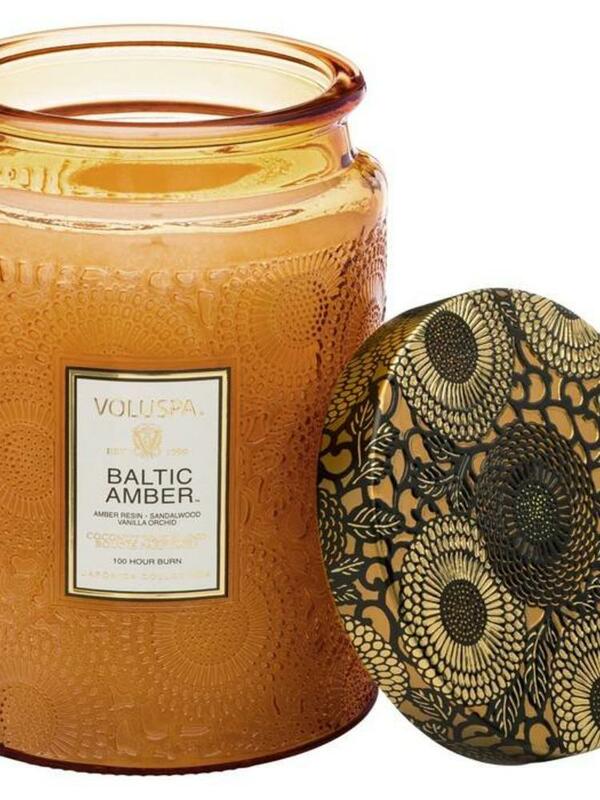 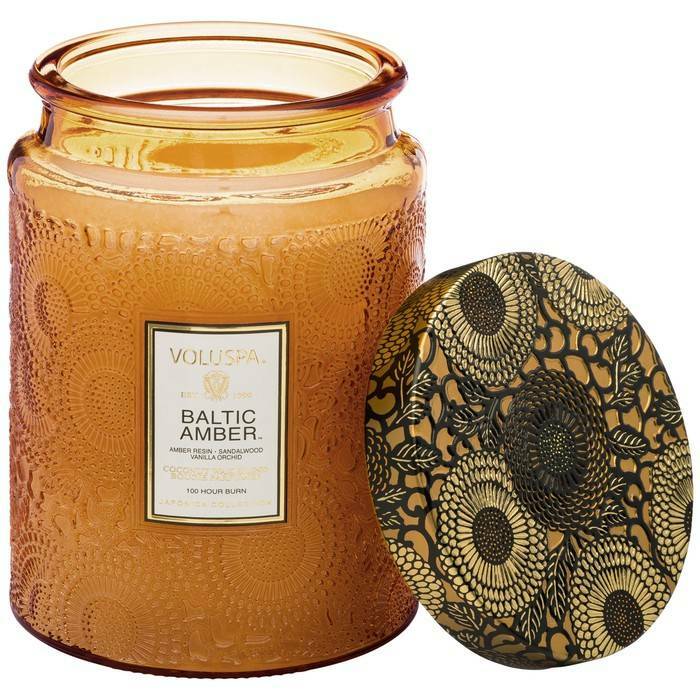 Baltic Amber: Amber Resin, Sandalwood, Vanilla Orchid. 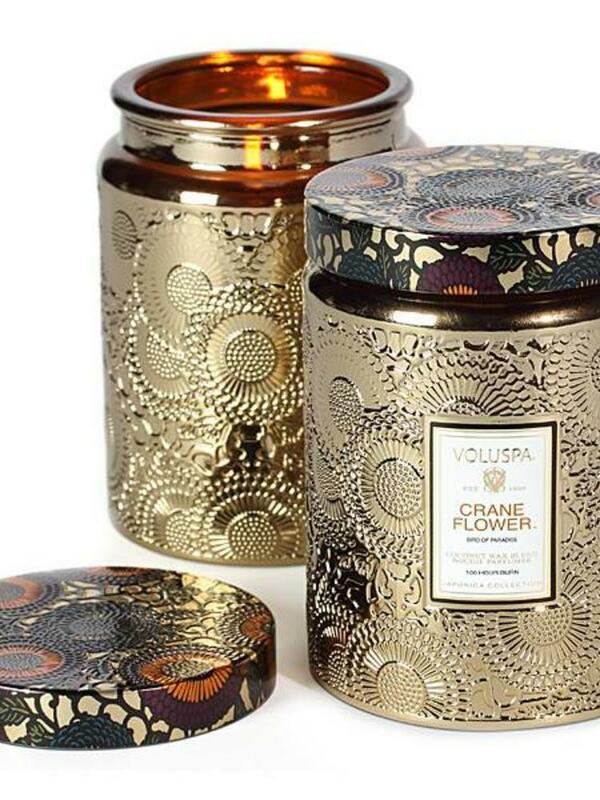 Crane Flower: Bird of Paradise Nectar, Ripe Grapefruit, Geranium, Lavender. 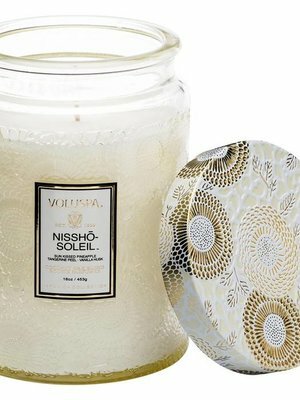 Mokara: Mokara Orchid, White Lily, Spring Moss. Panjore Lychee: Panjore Lychee, Cassis, Juicy Asian Pear. 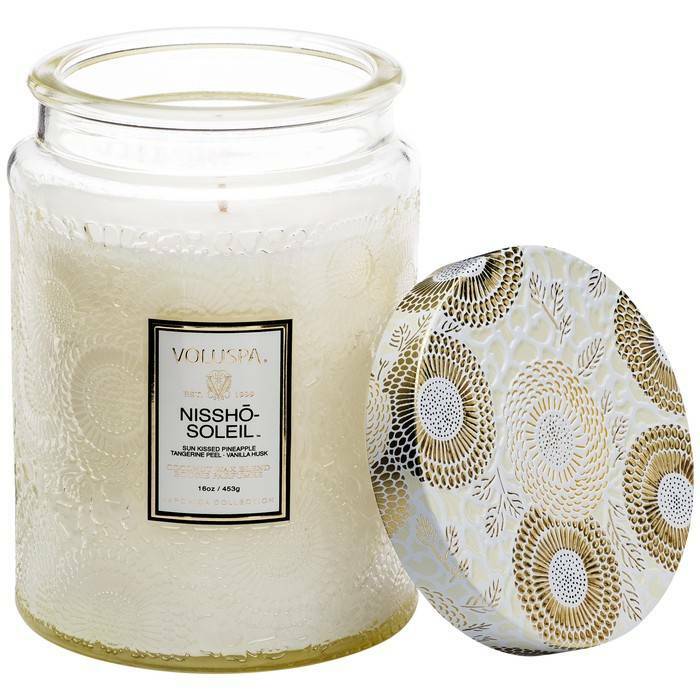 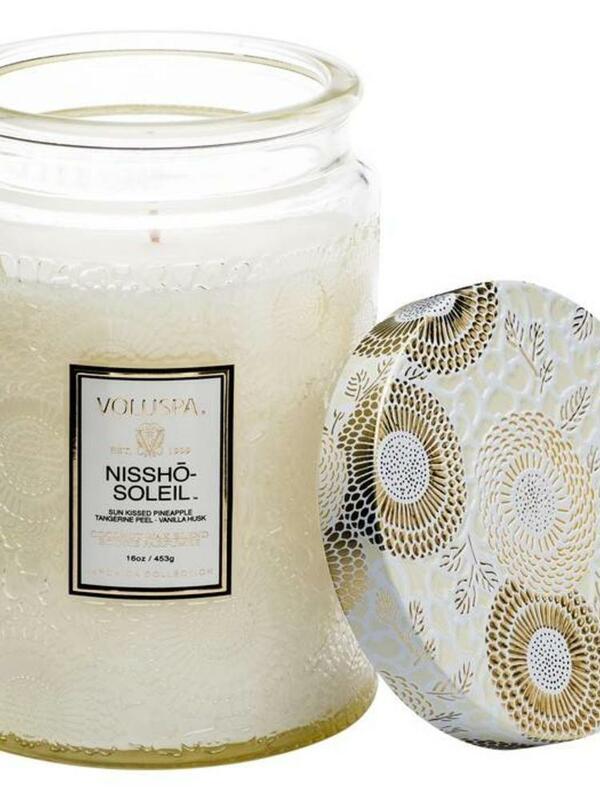 Nissho Soliel: Sun-Kissed Pineapple, Tangerine, Creamy Vanilla. 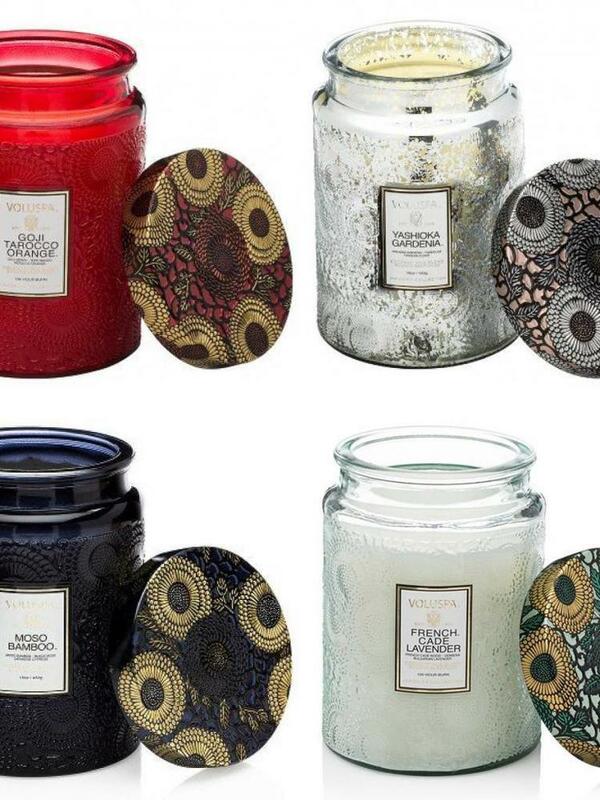 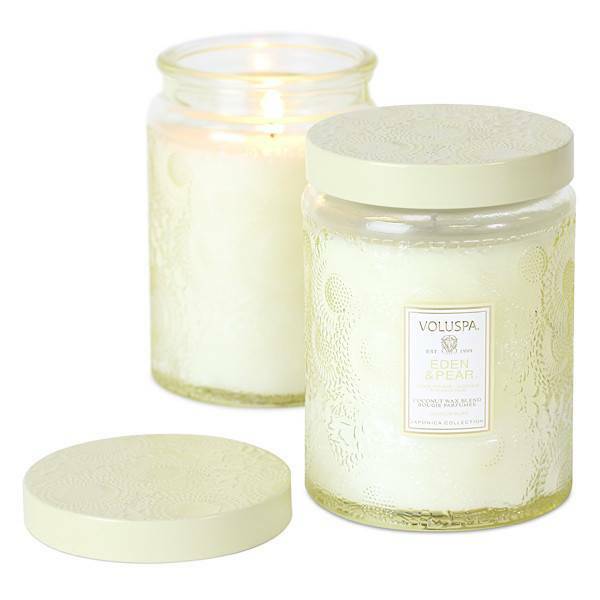 Phthalate free, coconut wax and a cotton wick provides a slow, clean and long lasting burn. 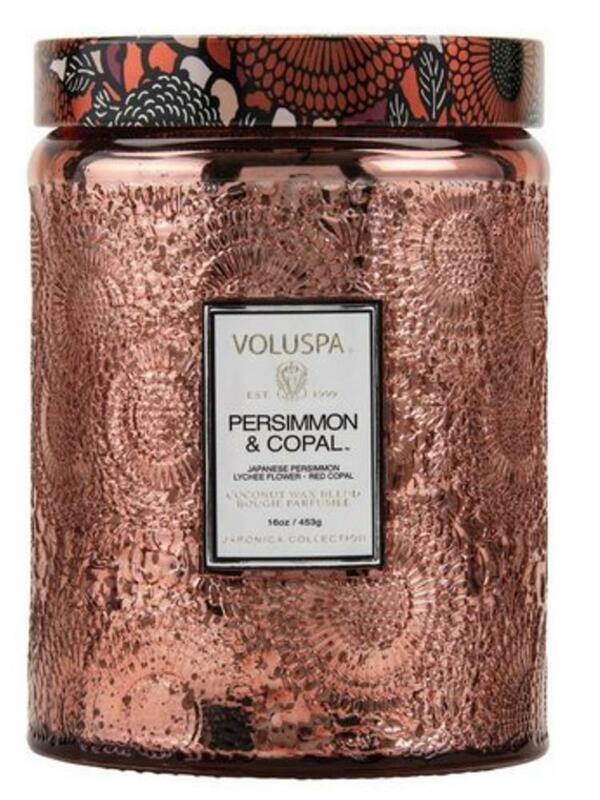 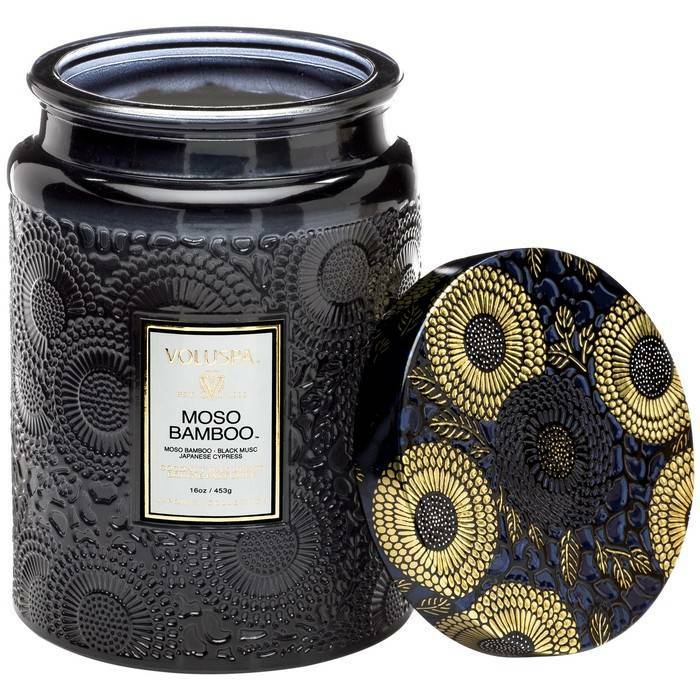 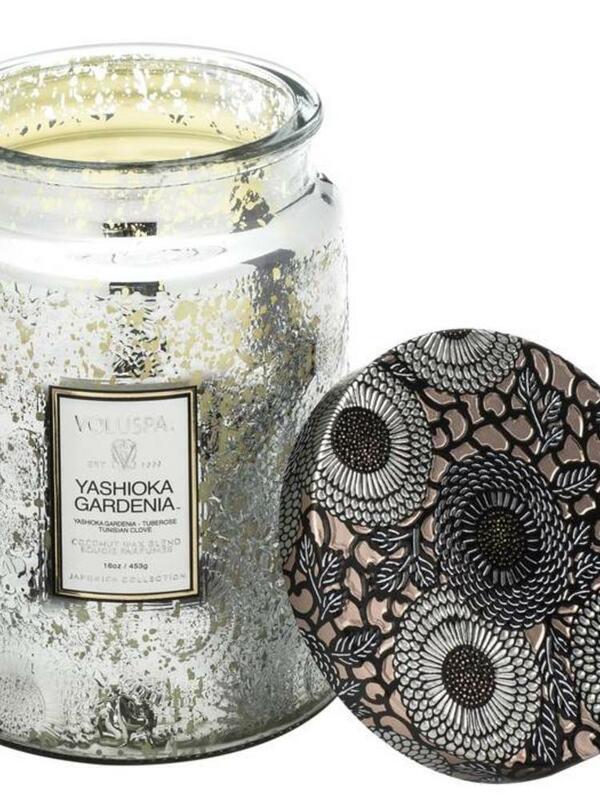 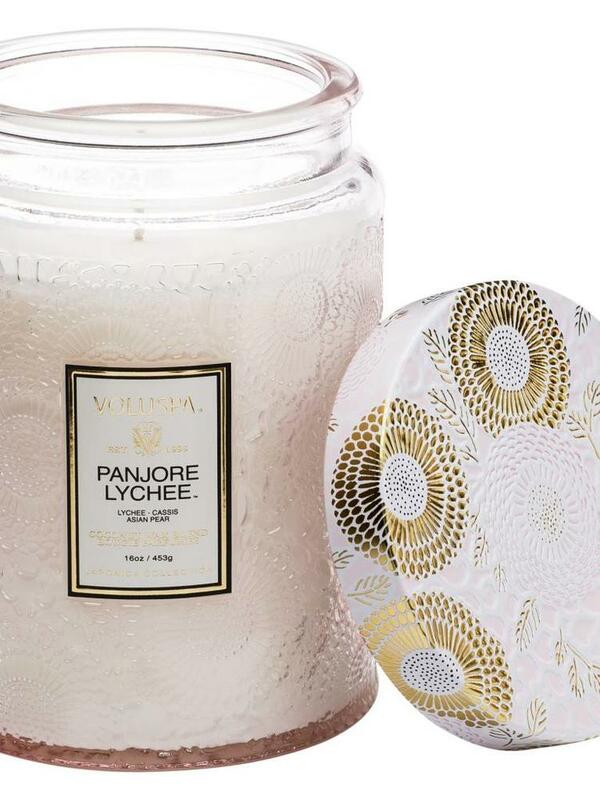 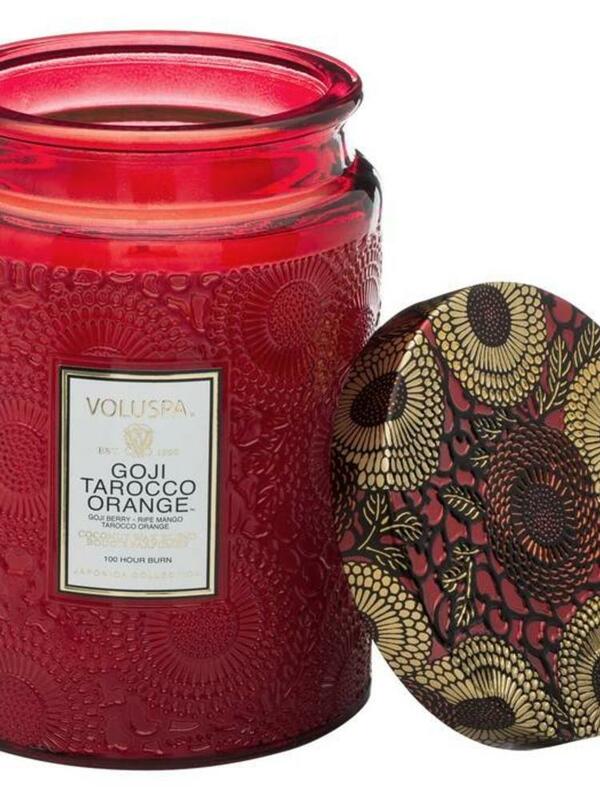 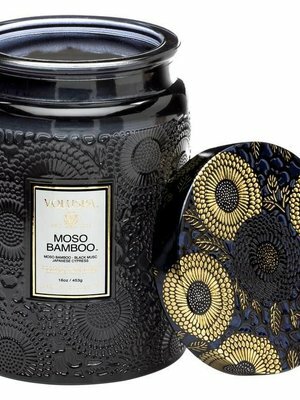 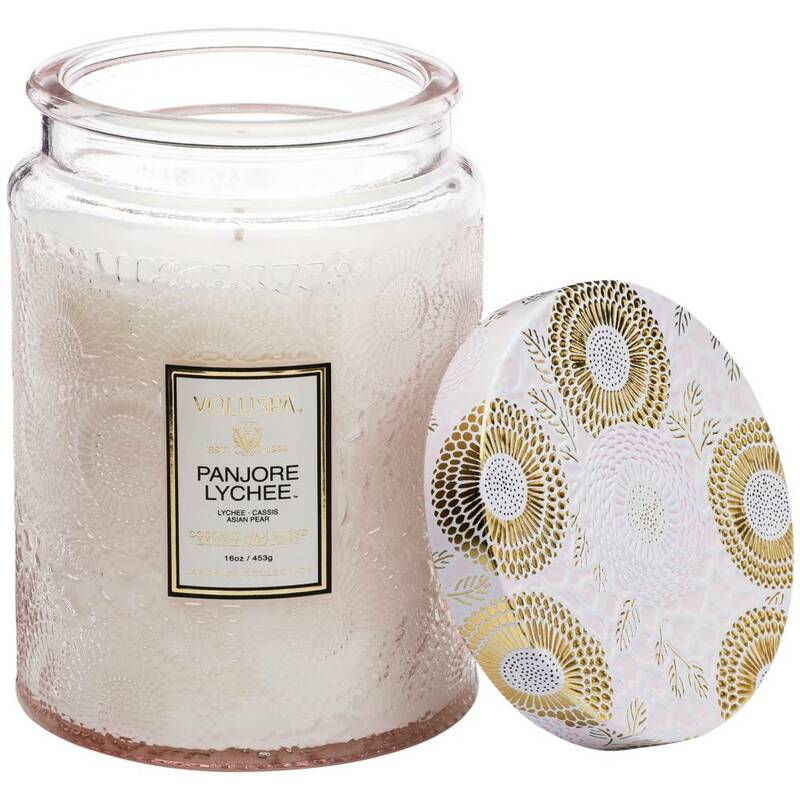 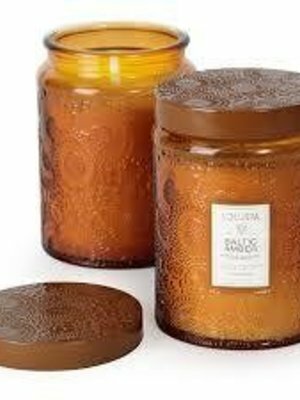 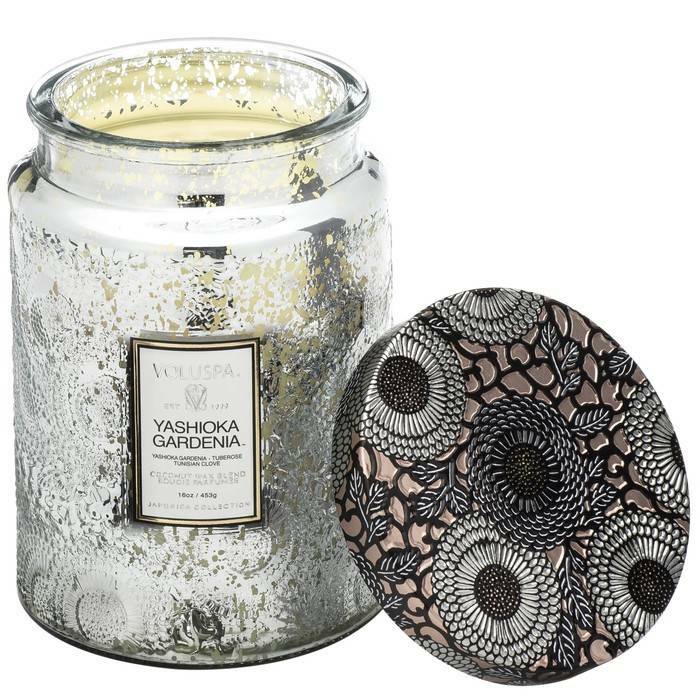 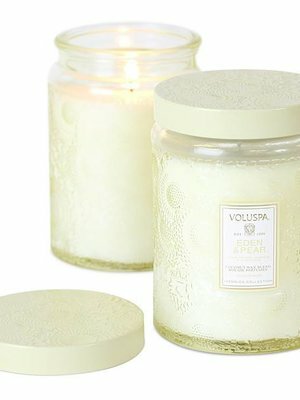 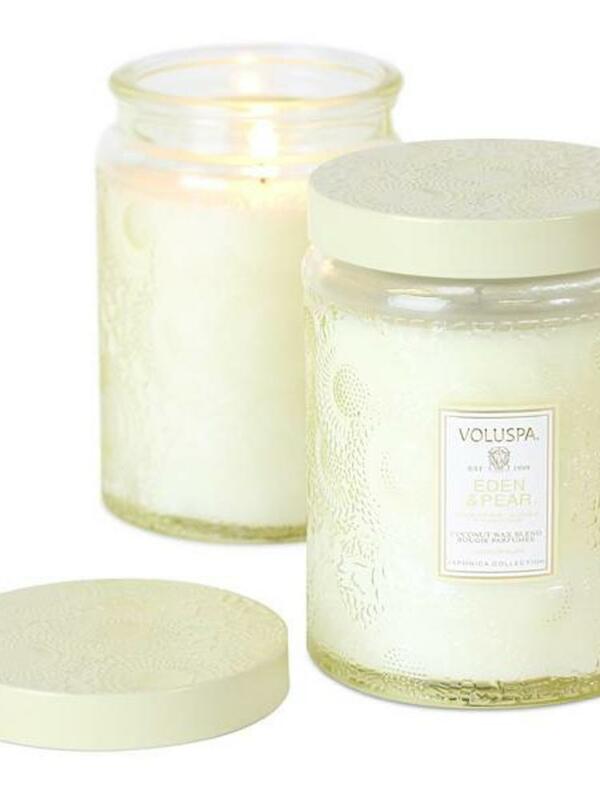 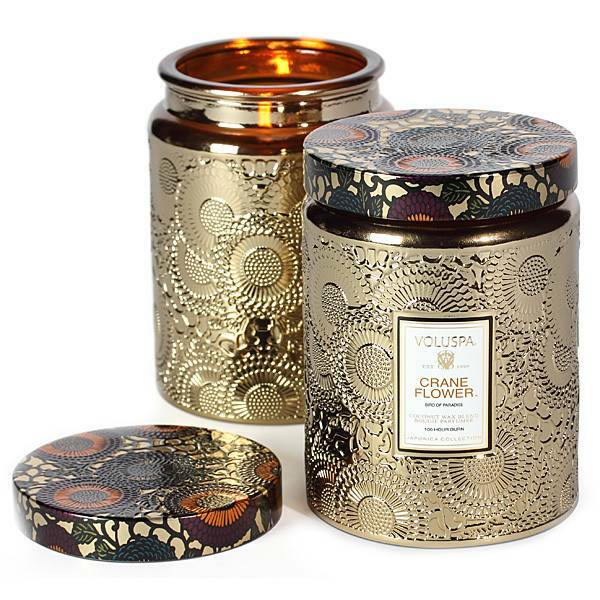 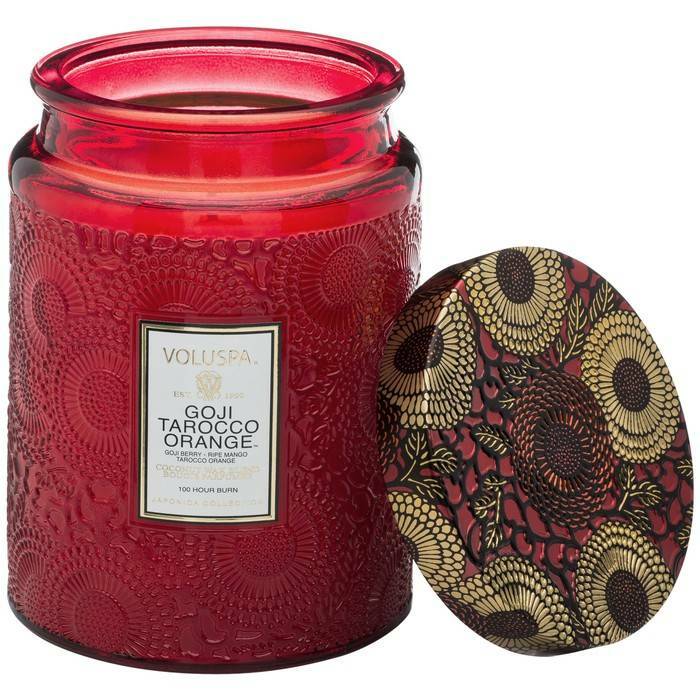 The large embossed Japonica glass candle comes in a custom glass container designed by Voluspa complete with a coordinating metal lid to use to extinguish the candle when lit and to keep wax dust free when the candle is not in use. 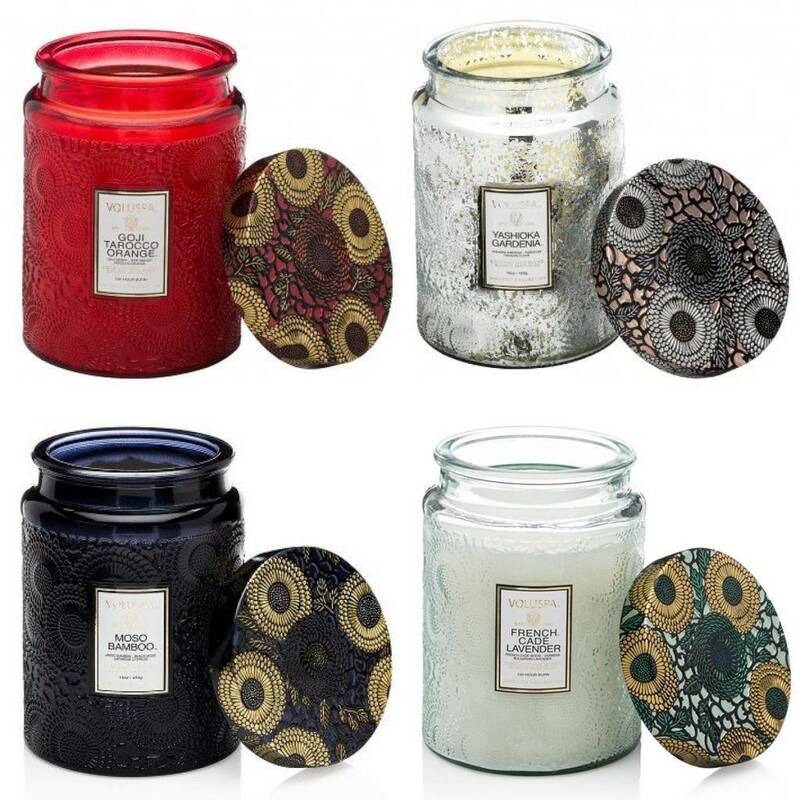 Great for small spaces or for travel. 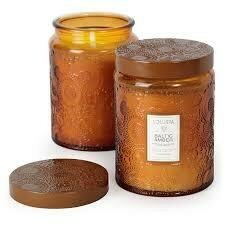 Filled with 16 oz of highly fragrant coconut wax. Re-use this elegant container for flowers or trinkets when the candle is gone.